Our dedicated team of staff have been working in Cambodia and Thailand for more than twelve years to give elephants a better future. With the construction of our new elephant sanctuary here in Thailand we are preparing for the next ten years and our new mission to get elephants living back into the wild. Our work is not easy, but with a clear long term objective and a certain amount of dedication, we will achieve our goals as every visit to one of our elephants sanctuary contributes to a better future for elephants. Built in 2007 our Cambodian elephant sanctuary (aka the EVP) is a world leader in allowing elephants to live natural lives in their natural habitat. All of our knowledge in elephant care and animal and environmental rehabilitation stems from the lessons learned in this very special place. 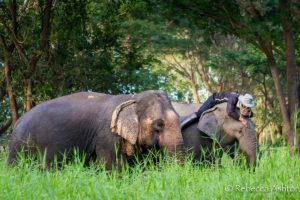 The largest of its kind in South East Asia, a visit to Cambodia is not complete without seeing this very special elephant sanctuary. Construction started in early 2016 and we opened at Christmas of the same year. Home to 6 elephants this compact version of the EVP is our first step in Thailand to building the process by which we can successfully reintroduce elephants back into the wild. We are not yet sure which elephants will be able to be reintroduced but the EVT will be first step by which we work to heal the elephants up physically, mentally and behaviorally. 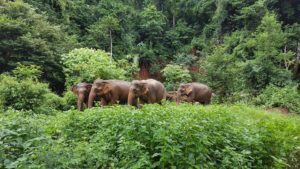 The second location we are planning on building in Chiang Rai is a much bigger location in which we will endeavour to get elephants used to living without chains, mahouts and in social groups. 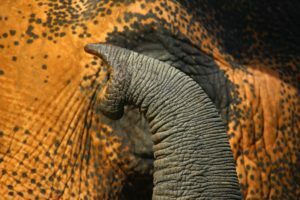 Progressing elephants from an intensive level of handling to one by which they can live by themselves is critical to getting elephants to live in the wild again. 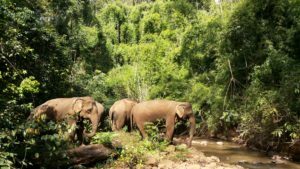 Elephants that are successful in achieving this important rehabilitative step will be merged into small herds and released into a protected environment. 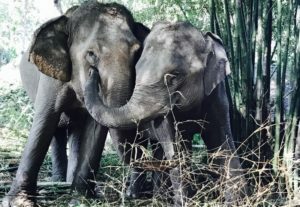 Elephants who cannot will transferred to similar elephant sanctuaries, who we are currently in discussion with, freeing up space for other elephants to transition through this phase. The end goal of our current 10 year plan is to rehabilitate a large area of land by which we can release a herd of captive elephants into. We are not yet sure about the exact location but we have a staff member working full time on this very goal. 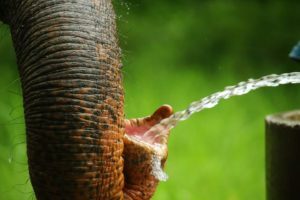 The land will have to have enough space and appropriate grasses, habitats and waters by which we can fully allow a formerly captive elephant to live a natural life again. We have been told many times that this is not possible so we are working hard to make our dream a reality and put the systems and infrastructure in place by which elephants in captivity can be wild again. As our favourite moto goes ‘if you dont even try, it wont even happen’ so we are going to give it our all. If you also believe in our goal to get elephants living in captivity back to the wild then please BOOK A VISIT and help us get elephants back to the wild! 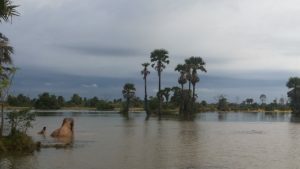 After that check out this very exciting camera trap footage from Seima Wildlife Sanctuary in Cambodia and you can see where our dreams are.